Class 802 No. 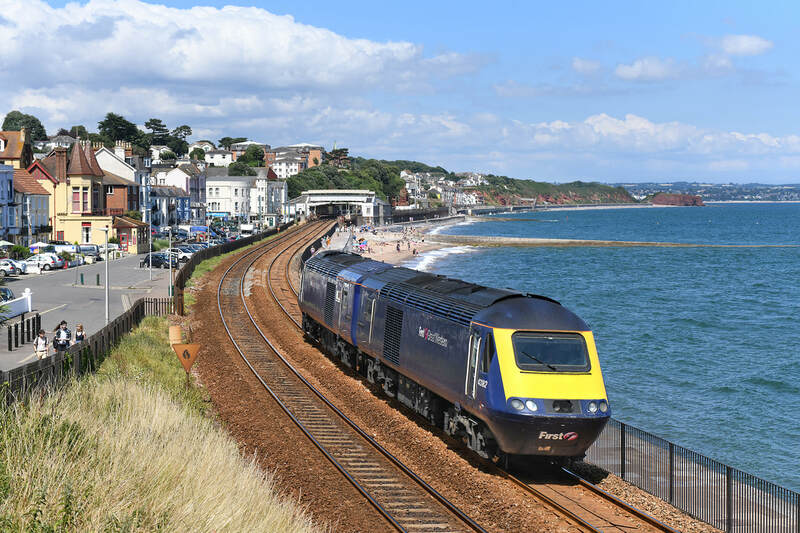 802101 operating as 5Z92, 15.24 Exeter SD to Par, passes Dawlish, 24 July 2018. 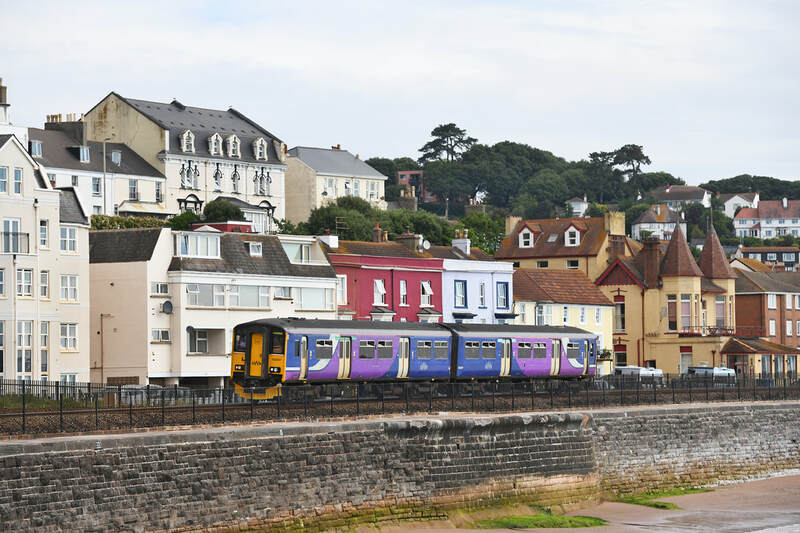 43182 and 43020 pass Dawlish 'back to back' forming light loco move 0Z83 11.30 Landore to Penzance. 24 July 2018. 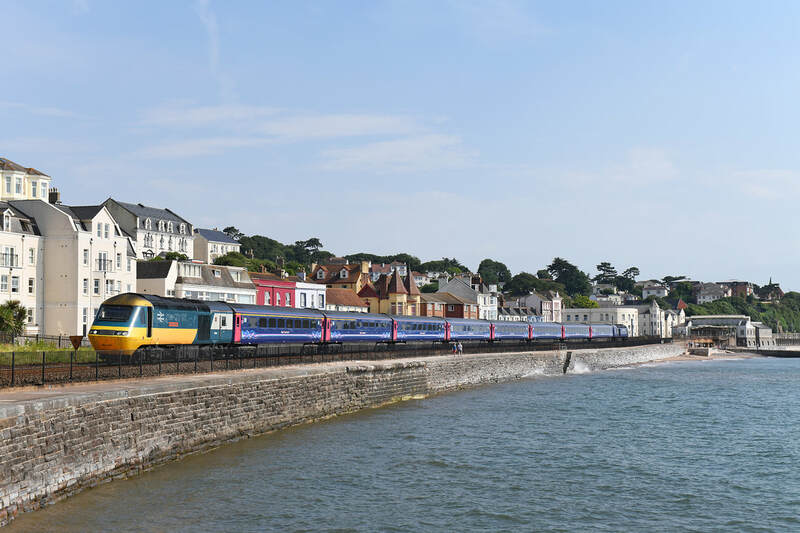 The 'newest' item of GW rolling stock ventured through Dawlish on 22 July 2018, in the form ex-Northern Class 150/2 No. 150207, still in Northern blue/mauve livery but off-set by GWR branding. 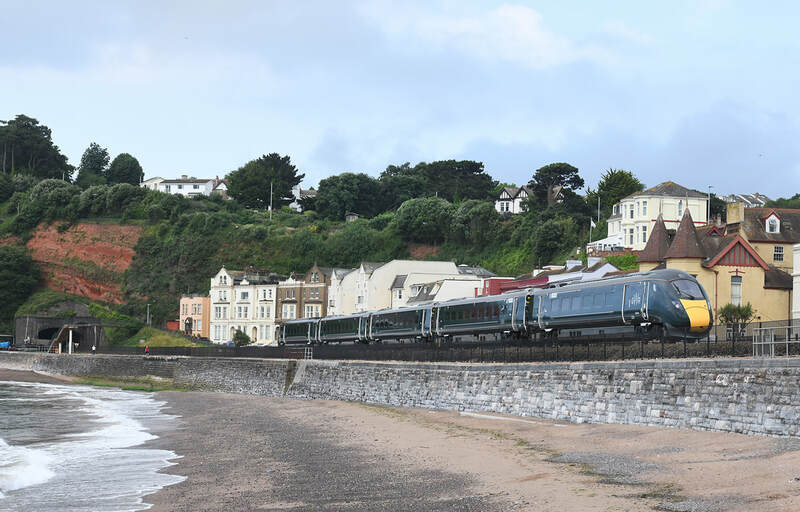 Seen departing from Dawlish forming 1C04 07.26 Bristol Temple Meads to Penzance. 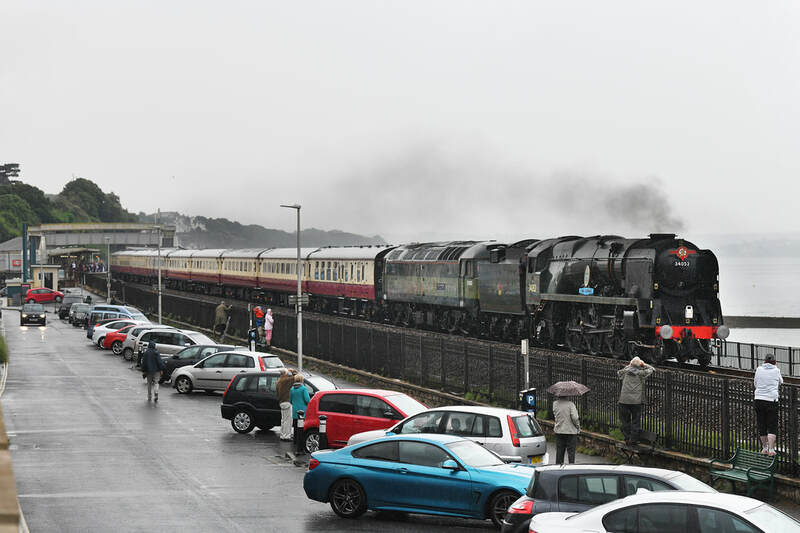 on 22 July 2018, 1C50, 08.48 Bristol Temple Meads to Par - WCRC charter, passes Dawlish powered by, 'Black 5' No. 44871 and WCRC Class 37/7 No. 37706. The sound of that 37 could be hear around three miles off! Ex-Northern Class 150/2 No. 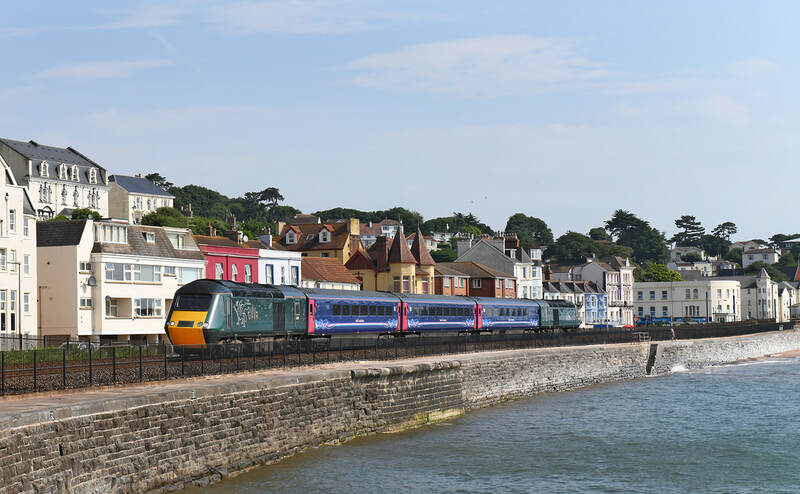 150207 forms the rear unit of train 2C56 14.37 Penzance - Bristol TM approaching Dawlish, 22 July 2018. 802001 down St Erth, 5Z52 13.20 Exeter SD - Penzance (training run), 19 July 2018. 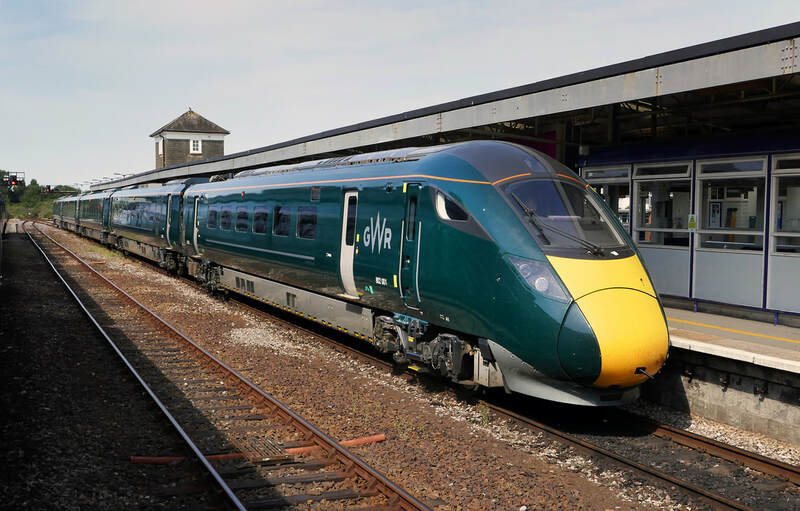 802001 awaits departure from Plymouth, 5Z51,10.44 Plymouth - Exeter St Davids (training run), 19 July 2018. 150126 arrives at St Erth, 2C47, 14.09 Plymouth - Penzance, 19 July 2018. 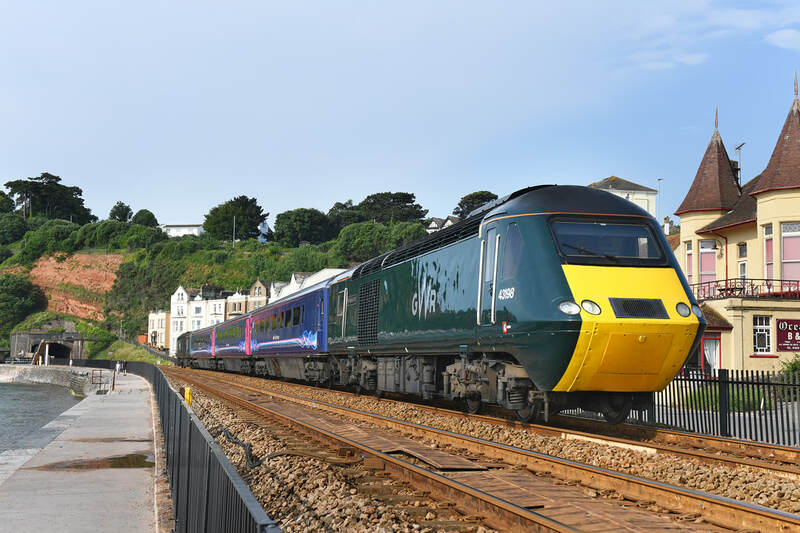 43187 / GW01 / 43198 up Dawlish, 2E12 06.00 Penzance - Exeter SD, 19 July 2018. 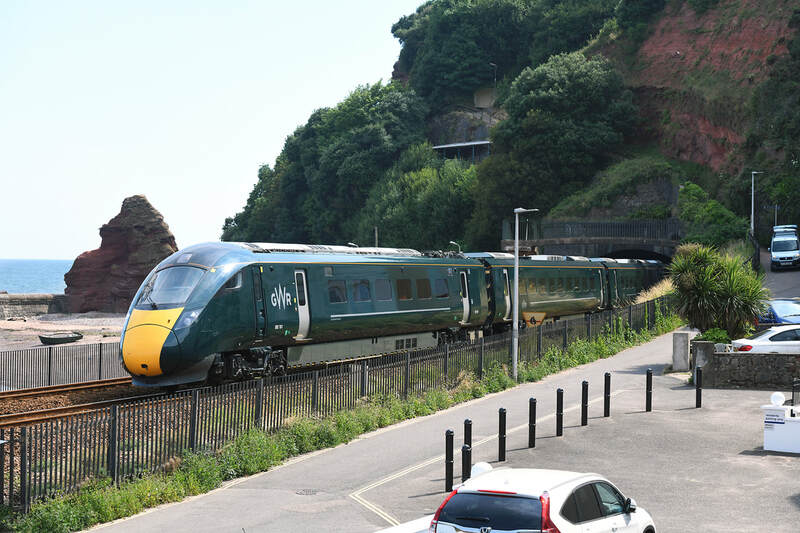 The return Torbay Express on 15 July 2018, powered by A4 No. 60009 Union of South Africa and DB Class 66 No. 66106 passes the Hamlet of Eastdon near Cockwood in near perfect light. For a LNER A4 I guess it looks OK. No. 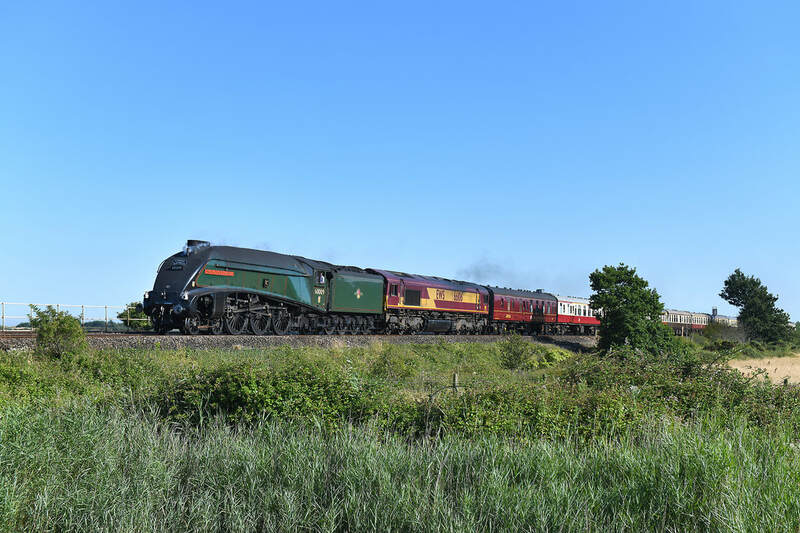 60009 'Union of South Africa' pilots Class 66 No. 66106 on the westbound 'Torbay Express', 1Z27 08.00 Bristol TM - Kingswear on 15 July 2018. Seen approaching Kennaway Tunnel, Dawlish. 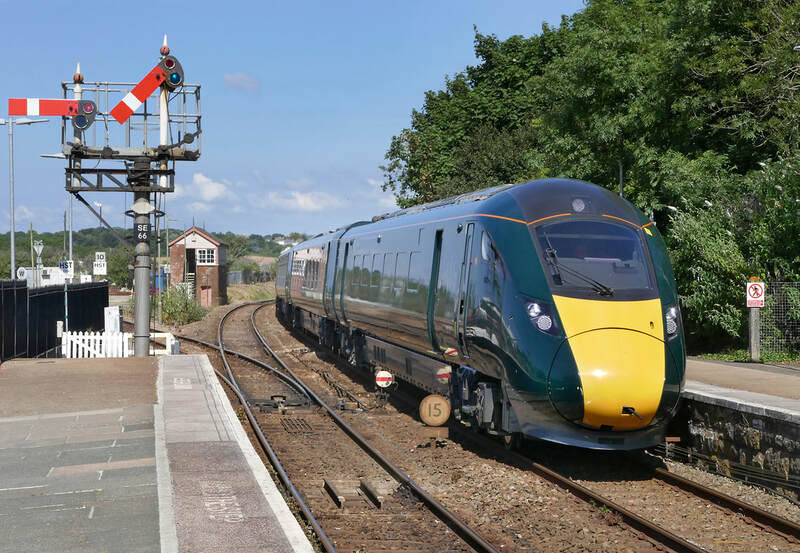 The Northern Belle paid a visit to the West Country on 14 July 2018, when it formed train 1Z57 06.24 Cardiff to Par via Swindon. Power was provided by WCRC in the form of Class 57 No. 57314 and Class 47 No. 47832 operating 'top and tail'. 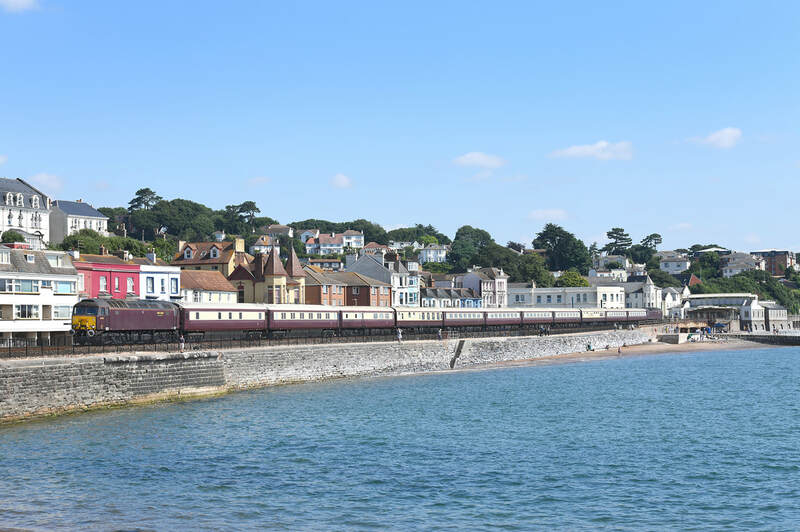 In glorious weather the train heads towards Kennaway Tunnel, Dawlish. Now fully branded, nine-car Class 802 No. 802101emerges from Kennaway Tunnel on 13 July 2018 forming train 5Z66, the 14.50 Plymouth to Paddington. Now fully branded, nine-car Class 802 No. 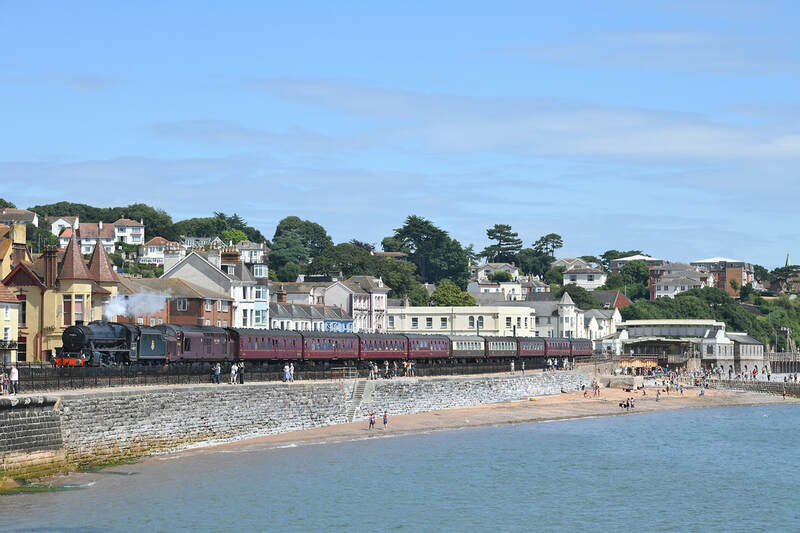 802101 passes Dawlish and heads towards Kennaway Tunnel on 13 July 2018 forming train 5Z22, the 09.22 Paddington to Plymouth. 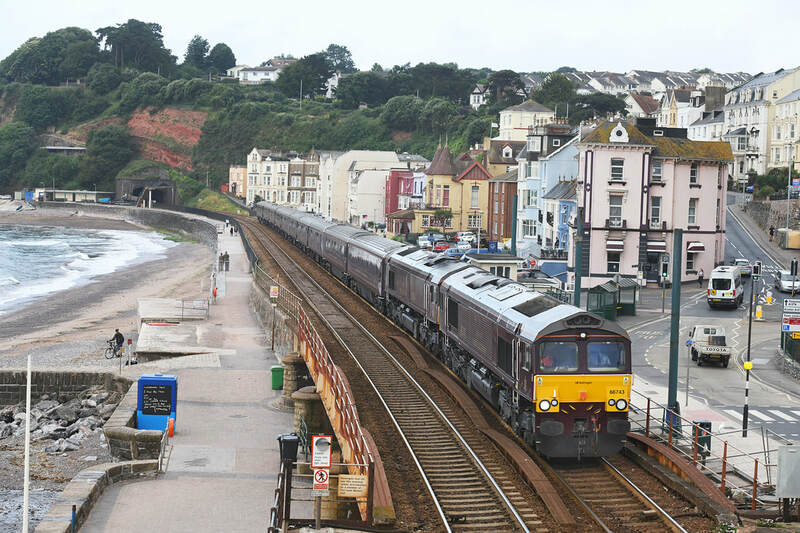 66746/-/66743 down Dawlish, 1Z80 04.20 Gloucester - Newton Abbot [Royal Scotsman formed - 99965, 99967, 99960, 99337, 99961, 99962, 99963, 99964, 99968, 99969. 10 July 2018. 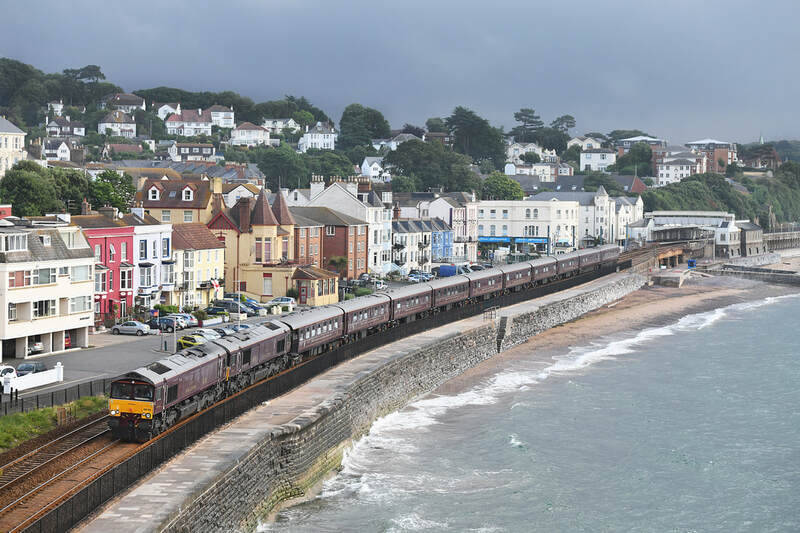 66743/-/66746 up Dawlish, 1Z81 07.23 Newton Abbot - Bath Spa [Royal Scotsman formed - 99965, 99967, 99960, 99337, 99961, 99962, 99963, 99964, 99968, 99969. 10 July 2018. 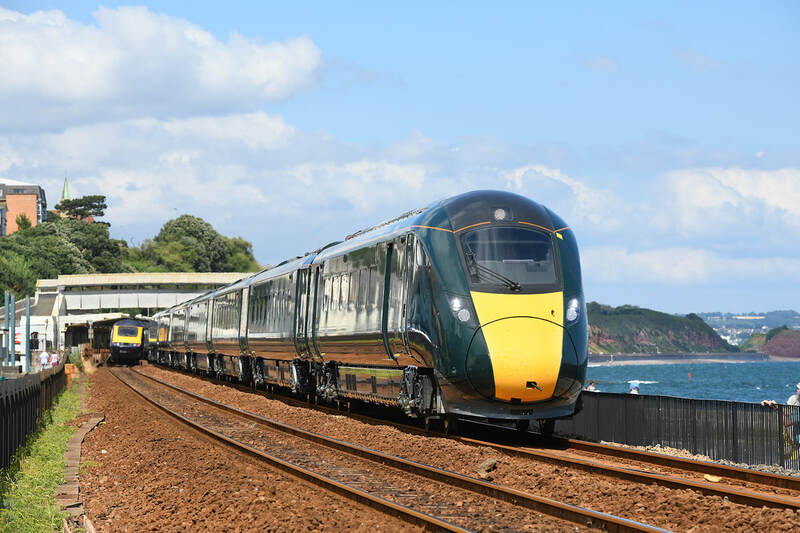 800029 heads down through Dawlish, 5Z80 06.05 Stoke Gifford - Plymouth (training run), 10 July 2018. Still carrying part of its original DRS livery, Freightliner-operated Class 66/4 No. 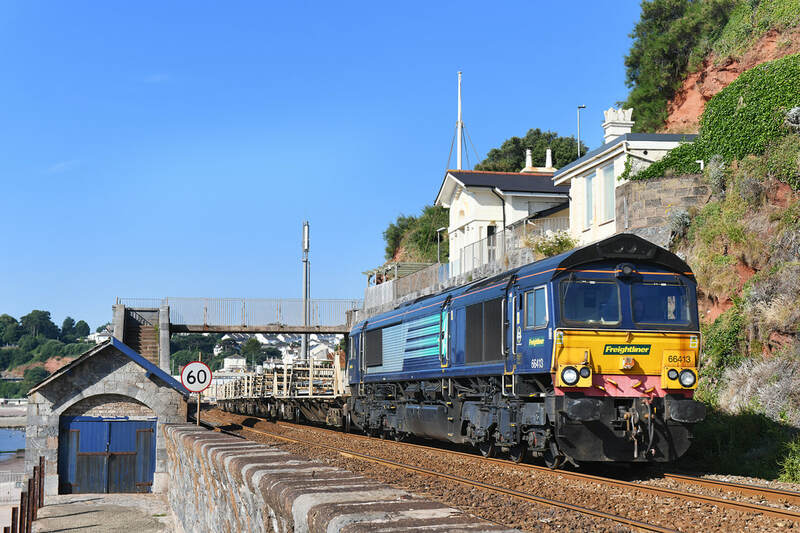 66413 storms past Coastguard Bridge, Dawlish on 8 July 2018 powering engineers train 6Y97, 08.15 Lipson Junction to Westbury, part loaded rail train. The GW 2+4 set has somewhat changed. 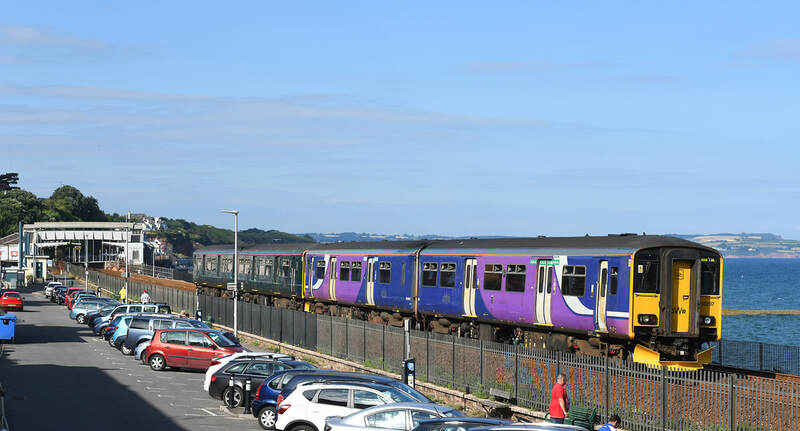 On 2 July 2018, gone are the sliding door vehicles and the train was formed of slam door set OC88 - 43198 + 44081 + 40112 + 40105 + 43187. 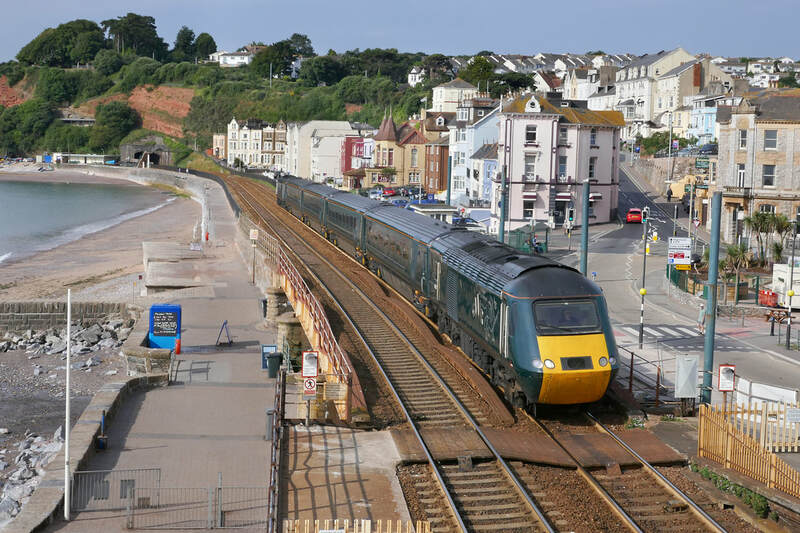 Makes for a different picture.The set forms train 2E12 06.00 Penzance to Exeter and is seen approaching Dawlish. The GW 2+4 set has somewhat changed. 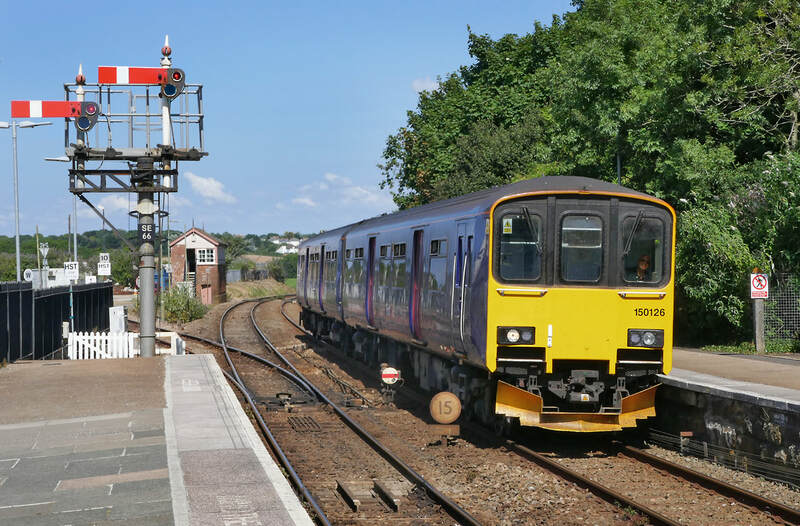 On 2 July 2018, gone are the sliding door vehicles and the train was formed of slam door set OC88 - 43198 + 44081 + 40112 + 40105 + 43187. 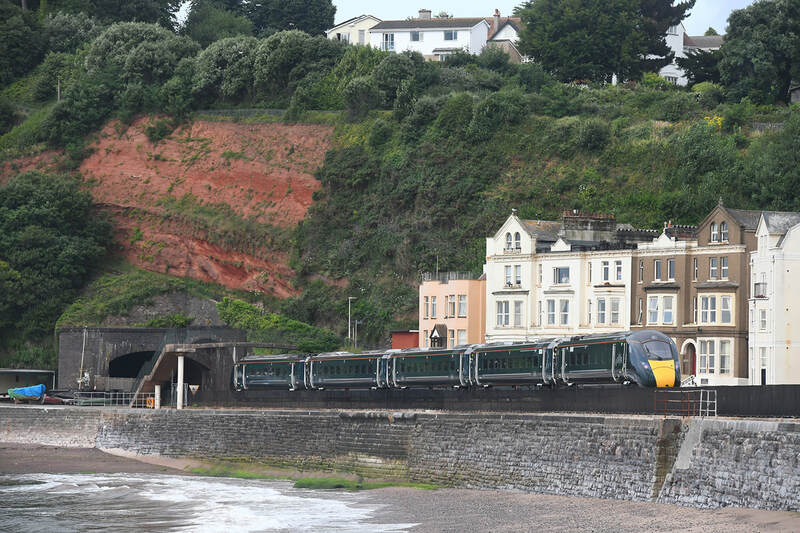 Makes for a different picture.The set forms train 2C45 09.26 Exeter SD - Penzance passing Dawlish. Always Nice to see 43002 out and about in the sun. 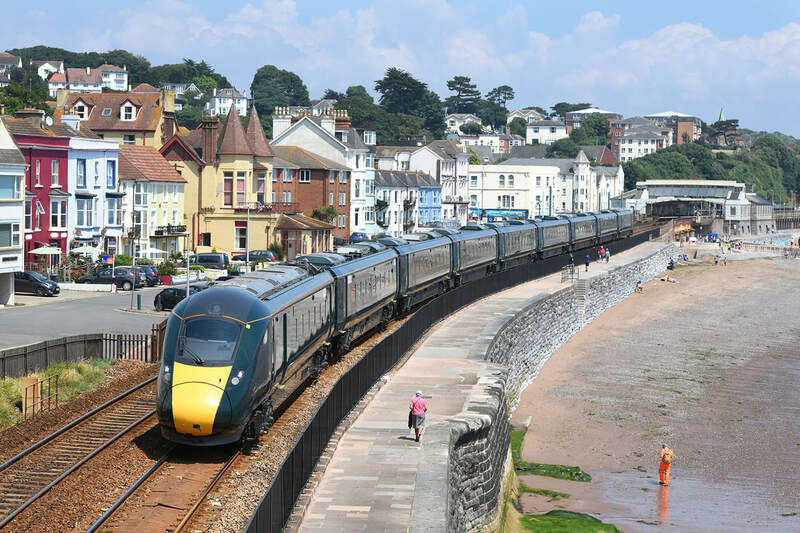 On 2 July 2018, 43002 leads train 1C72, the 07.03 Paddington to Paignton, which is now shown in the timetable as 'The Devon Express'. Seen approaching Kennaway Tunnel. In heavy rain and a storm at sea, Battle of Britain 34046 pilots Class 47 No. 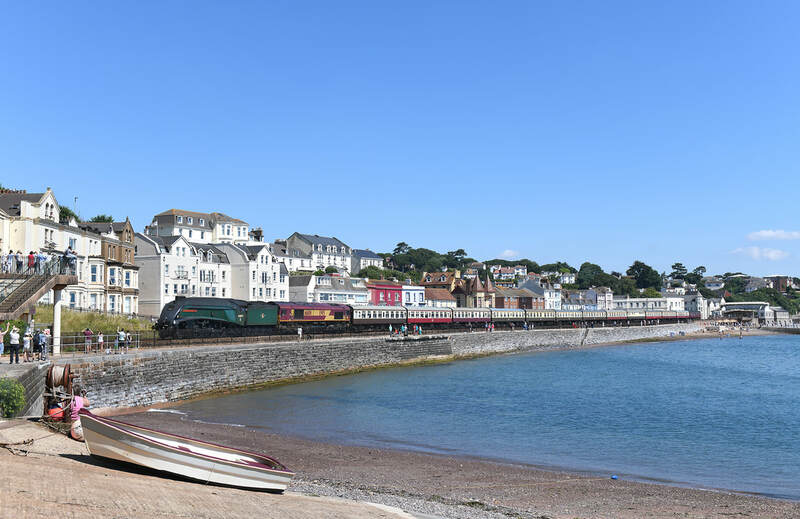 47805 through Dawlish on 1 July 2018, with 'The English Riviera Express' 1Z27 09.06 Bristol Temple Meads to Kingswear.